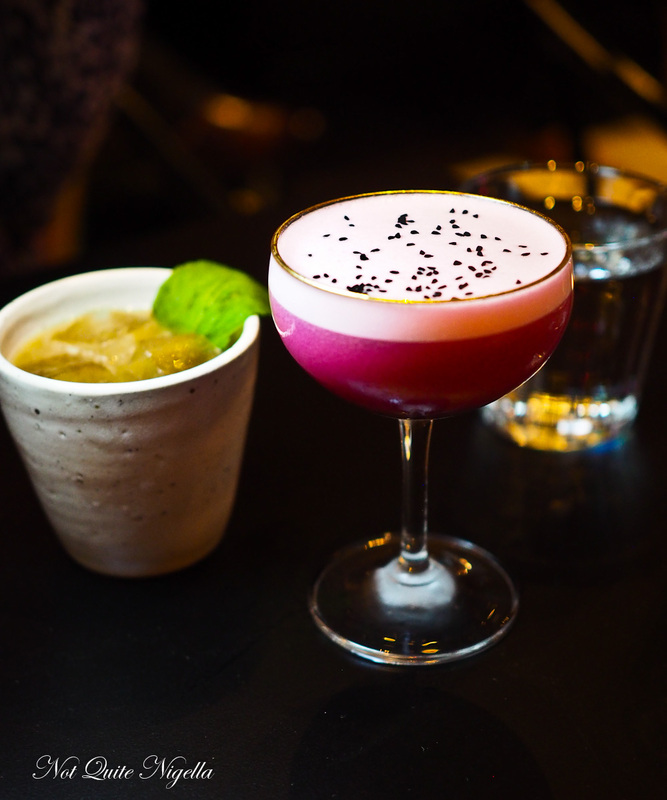 Chin Chin Comes To Sydney! 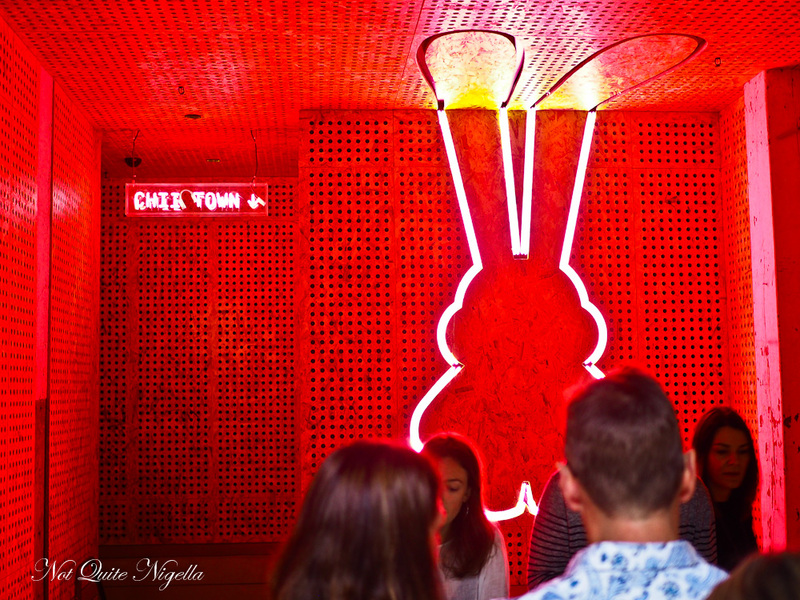 They say that good things come to those that wait and the opening of the very much anticipated Chin Chin in Sydney is some time coming. 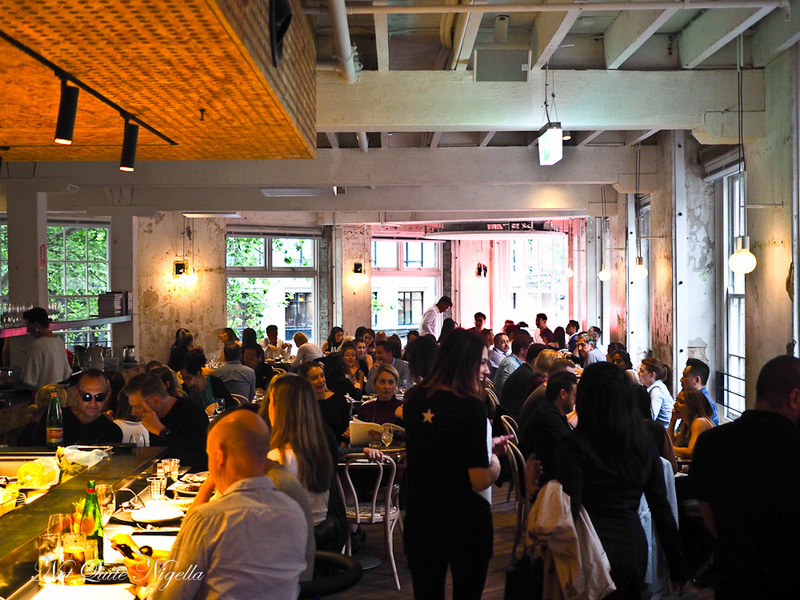 Up until now, Sydneysiders have had to travel to Melbourne to partake of the Chin Chin experience and sample their Thai-and-then-some menu. 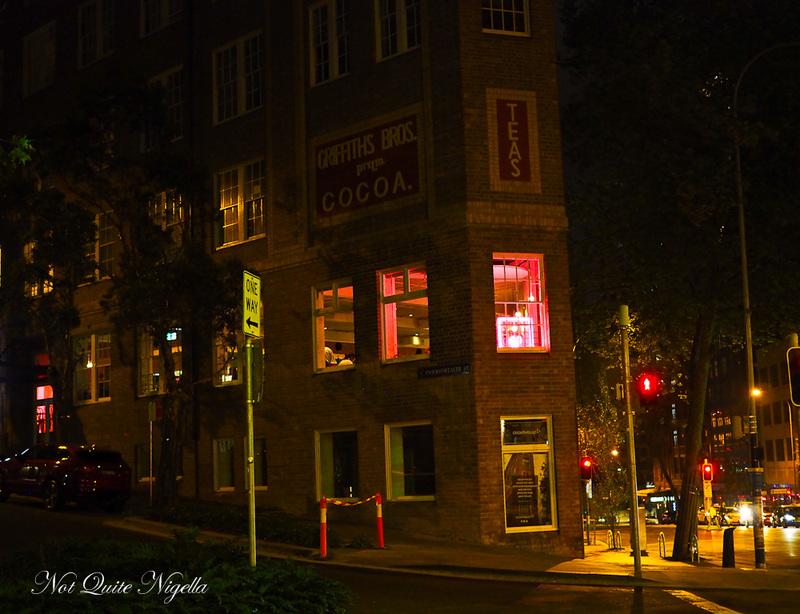 Chin Chin has taken over the Griffiths Tea Building building giving the site a much needed new lease on life. The large 160 seater restaurant takes over one half of the floor while the other half is the Go Go Bar with canapes from the menu and cocktails by PS40. So what is it like? Chin Chin Sydney is different from the Chin Chin Melbourne. 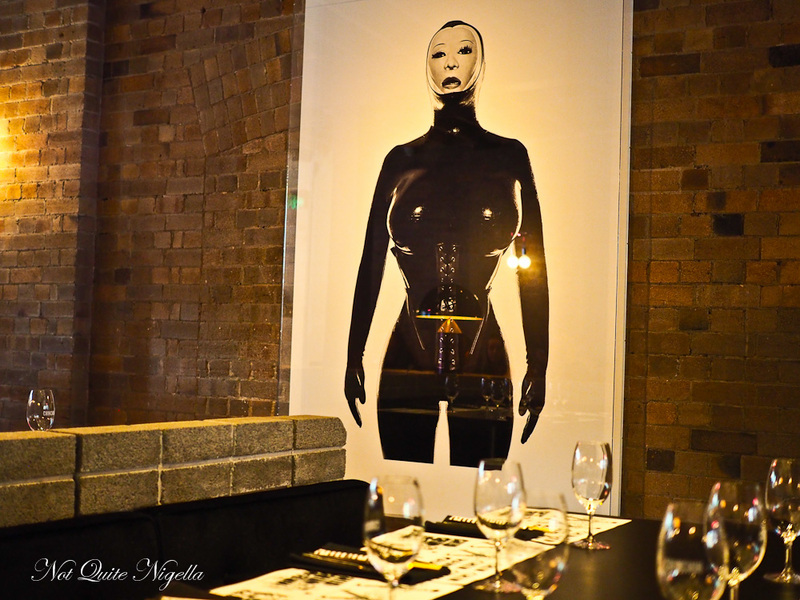 The main difference is the "Barbecue & Rotisserie" menu that is exclusive to Sydney. Prices are very reasonable and the menu is comprehensive (with an option to "Feed Me" for $69.50 or $88 per person if choosing gets too overwhelming). There is an army of chefs including executive chef Benjamin Cooper as well as wait staff on hand to ensure that it works as smoothly as possible with owner Chris Lucas ever present on the floor. I mentioned waiting though didn't I? On the second day we lined up to get a table only to be told that the wifi was down which meant all systems were down and that they were trying to fix it. They invited everyone in for a drink on them (kudos for handling a tricky situation well) while they worked on the problem and then we were told the bad news, that they wouldn't be open. For a restaurant that served up to 600 a night the night before, it was "catastrophic" as Chris put it (we quickly do the maths-ouch!). But they promised to take everyone's details and call and rebook us in at our convenience. And you know what? They sounded genuinely sorry about it apologising profusely without any of this "You're lucky to be dining with us" attitude that some hugely popular restaurants seem to have. And yep true to their word we were called and bookings were made and they handled it with aplomb. So there we were with a reservation for four. These are usually only taken for groups of 10 or above for dinner (they are taken for lunch) but otherwise you have to join the queue and take a seat inside and wait for a table to be free. 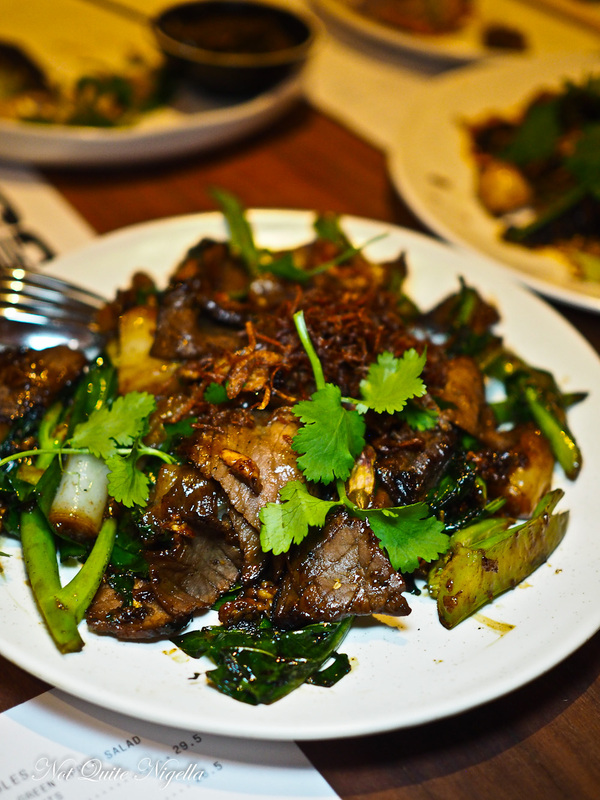 The Chin Chin experience is music (a mix of decades) and a bustling, buzzy atmosphere. It's not a place for deep, serious or romantic conversations but it's more a place to eat out with friends or groups. Service from our waitress is really lovely. When I ask her about items with seafood she offers to mark the items I can eat on the menu and she painstakingly does this. 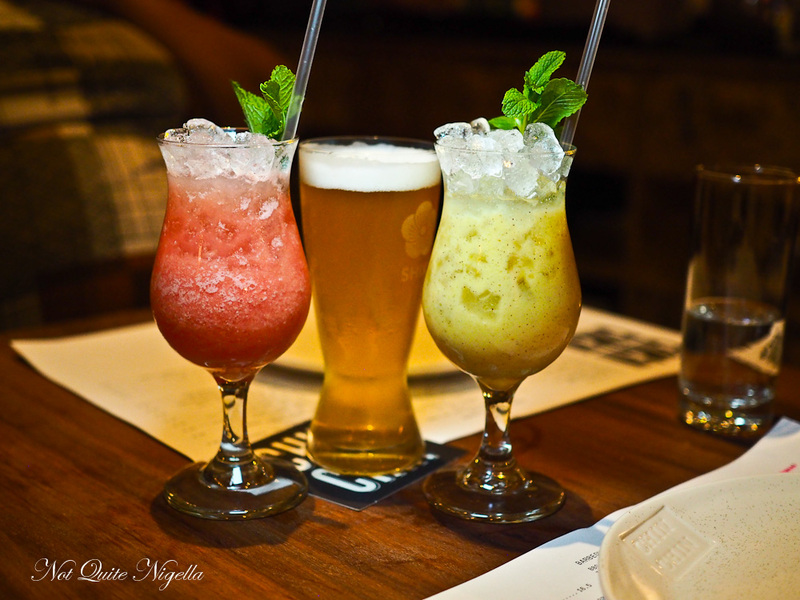 We start with some drinks-the green mango and passionfruit coconut slushie is like passionfruit icing while Louise's watermelon coconut slushie is just like straight watermelon juice. Viggo likes the sound of the beers. 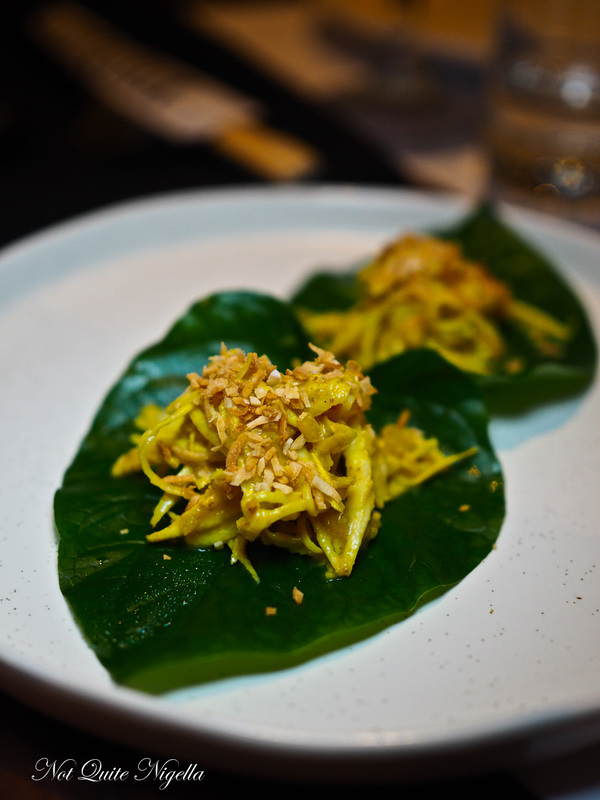 The first item to arrive is the miang with spanner crab. 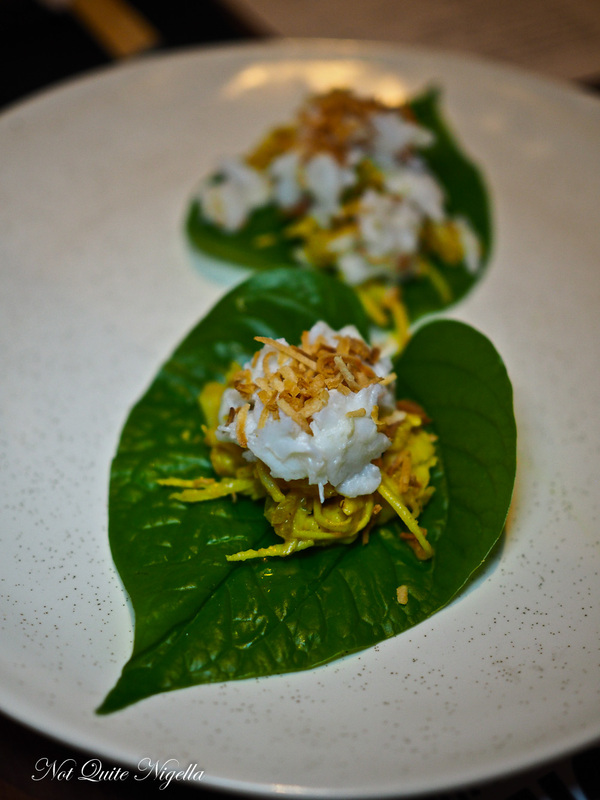 A betel leaf is topped with soft, sweet spanner crab meat, banana flower, peanuts, spiced coconut cream and herbs. From all reports it's delicious. Our waitress was nice enough to order a vegetarian version of a miang so that I could try it. It's made up of banana flower and coconut-very similar, rich flavours and you don't feel as though you're missing out at all. The Pad Seuw is made up of tender braised wagyu beef, gai laan, rolled up rice noodles and shallots. This is moreishly sweet and saucy. 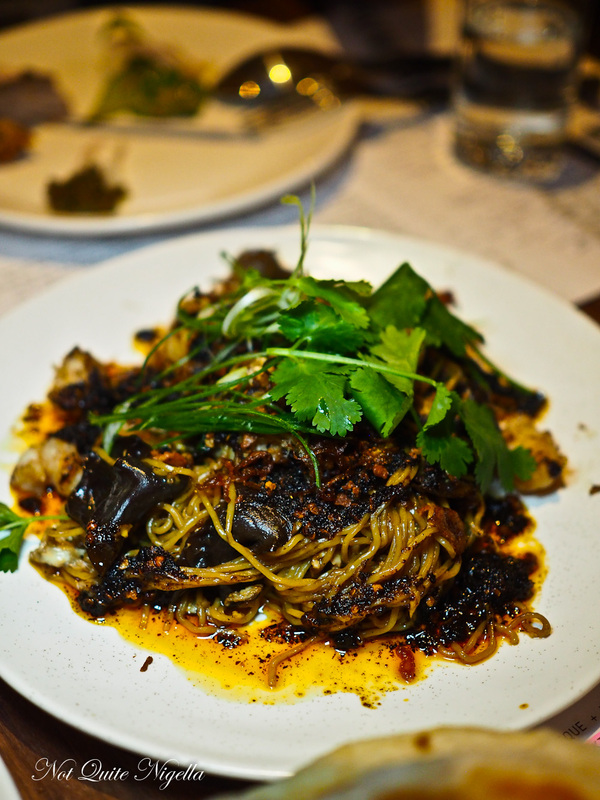 The beef is thinly sliced and catches all the flavours of the sauce and I just loved the soft, spongey and hard-to-pick-up-with-chopsticks noodle bundles. 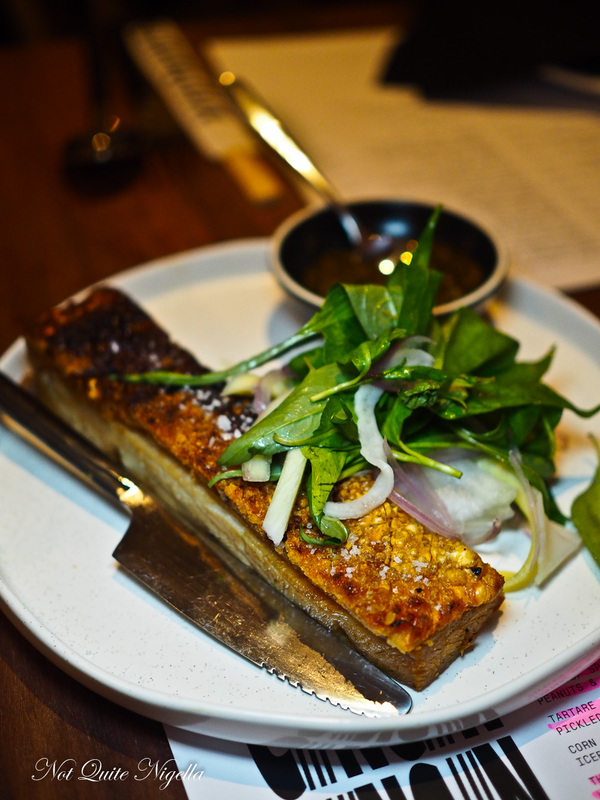 The pork belly is all about soft meat and super crispy skin - a heavenly combination. It comes with a pickled red onion, fennel and herb salad that lightens it up as well as a "Scud Chilli Death Sauce", a spicy dark green sauce with a serious kick of heat to it. I didn't get to try it because of my allergy but the egg noodles are Louise's favourite dish and one of the most popular. I try to not stare while eating it. There's everything I love in a dish: prawns, shelled bug tail meat and egg noodles and she and Mr NQN (the only people at the table that can eat shellfish) pass this back and forth being nice enough not to wave this under my twitching nose. Okay, I confess I don't really like lean meat. Fat is where the flavour is and I never order lean cuts. The pork is nice but the meat is lean. But then I see the single pork rib and check if anyone else wants it. And it's so good. I'd love a plate of the ribs by themselves please. I eat the rib slowly and sort of daydream before I realise I'm staring off at the distance at a man who is probably why I'm gnawing on a bone and staring at him. You'd never expect people to swoon over cauliflower but swoon we did. 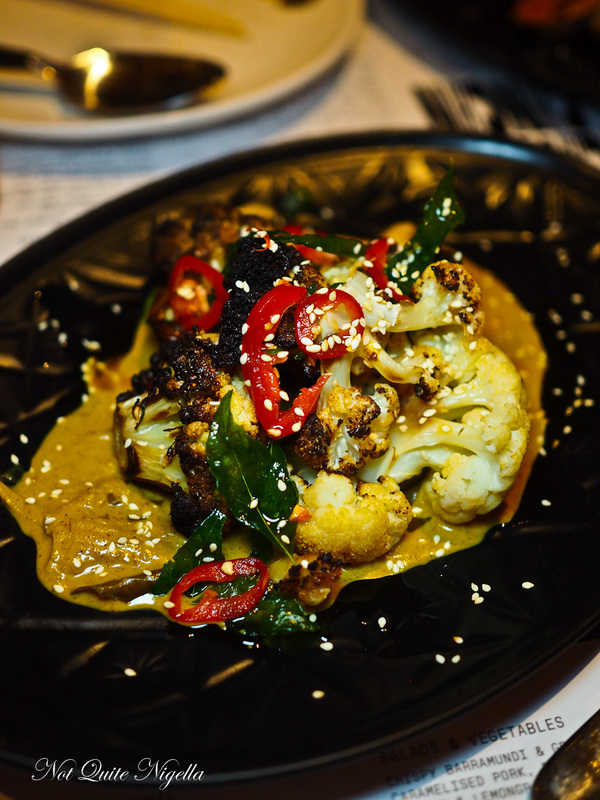 The dish is pieces of barbecued cauliflower with a curried coconut cream sauce with lots of deep fried curry leaves and fresh chillies. Viggo who usually resists cauliflower really likes this dish declaring it his favourite out of everything. This is another dish using the scud chilli. 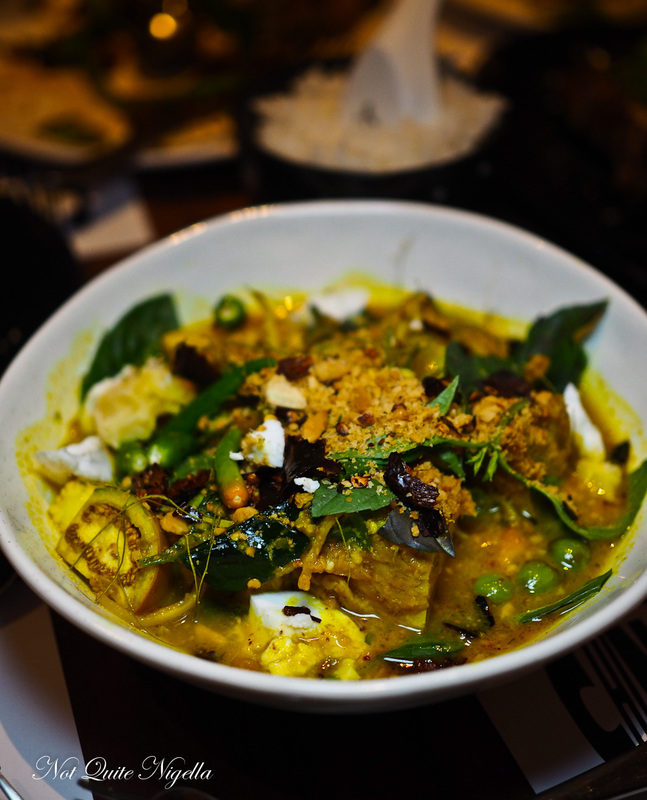 It's a jungle curry with spiced grilled slices of soft pork with salted duck egg. A Jungle curry is a super spicy curry made without coconut milk to temper the heat and as the menu says, it's quite hot indeed. All curries come with steamed jasmine rice but you have the option to upgrade to coconut or brown rice. 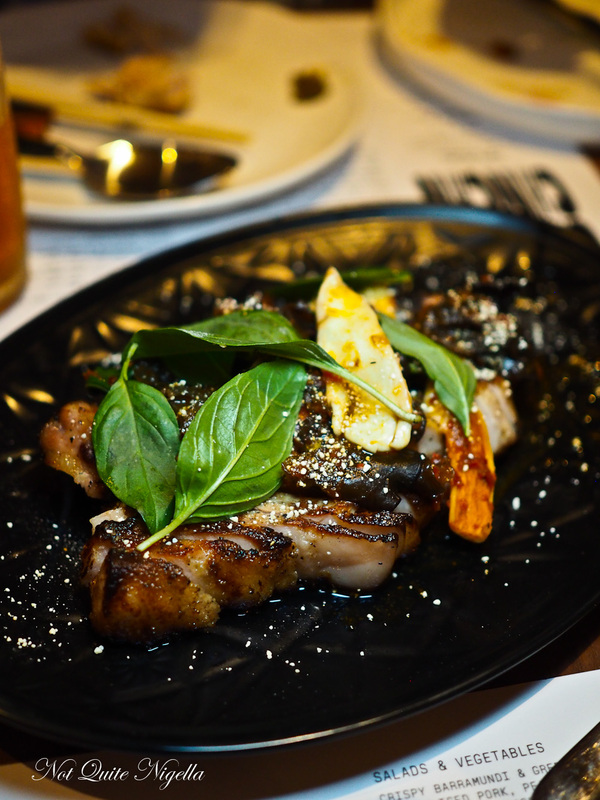 Another item that we didn't get a photo of but really enjoyed is the twice cooked beef short rib, a meltingly soft beef rib with a shaved coconut, chilli and herb salad and prik nahm pla. It's time for dessert and there are 4 desserts to choose from plus a selection of sorbets. We again go with our waitress's recommendation and share two desserts. 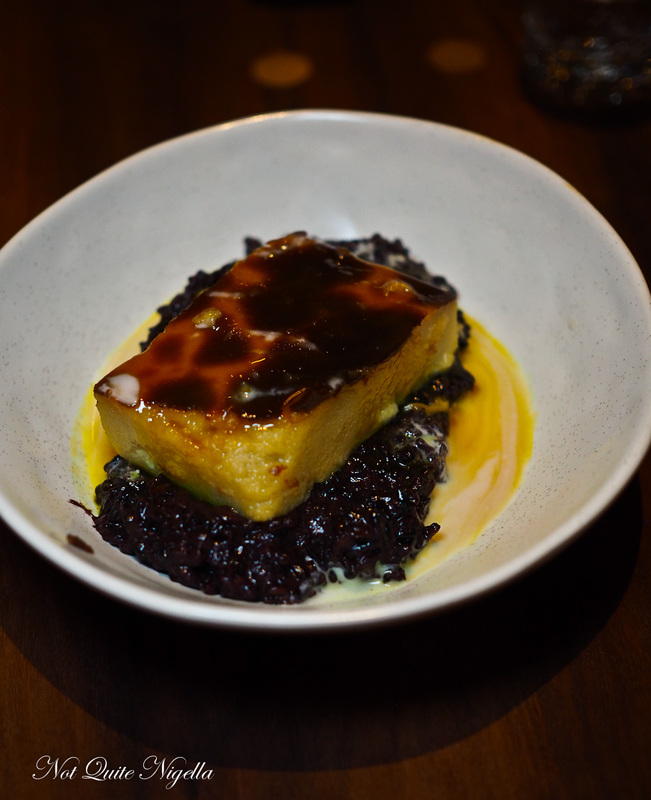 The black sticky rice is comforting with lightly sweetened black sticky rice and a rectangle of sweet, thick coconut custard and a thin turmeric caramel. The turmeric caramel isn't a thick caramel, more like the liquid that comes off a creme caramel in texture has just enough turmeric so that you taste it. We saw so many of these coming past us (perhaps it was the dessert on the Feed Me menu), so much so that we thought that there was only one dessert on offer. 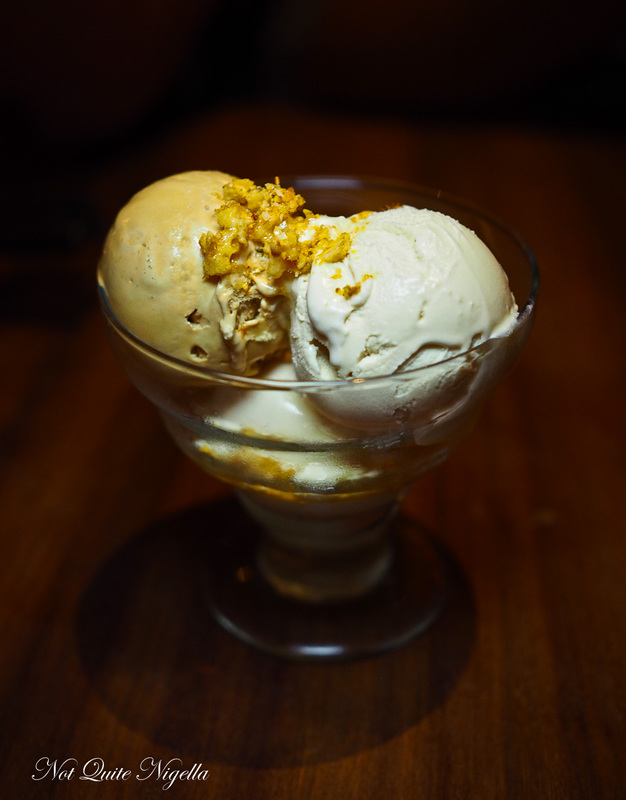 It's an ice cream sundae with generous scoops of burnt caramel and palm sugar ice cream with salted honeycomb gravel. There's a clever drizzle of lime syrup in there too to give it lightness and I particularly love the palm sugar ice cream. It was, as they say, absolutely worth the wait. So tell me Dear Reader, are you curious about the new Chin Chin? Have you ever had a situation where a restaurant hasn't been able to open and how did they handle it? Are you happy to queue to get in or do you wait until you no longer have to queue? 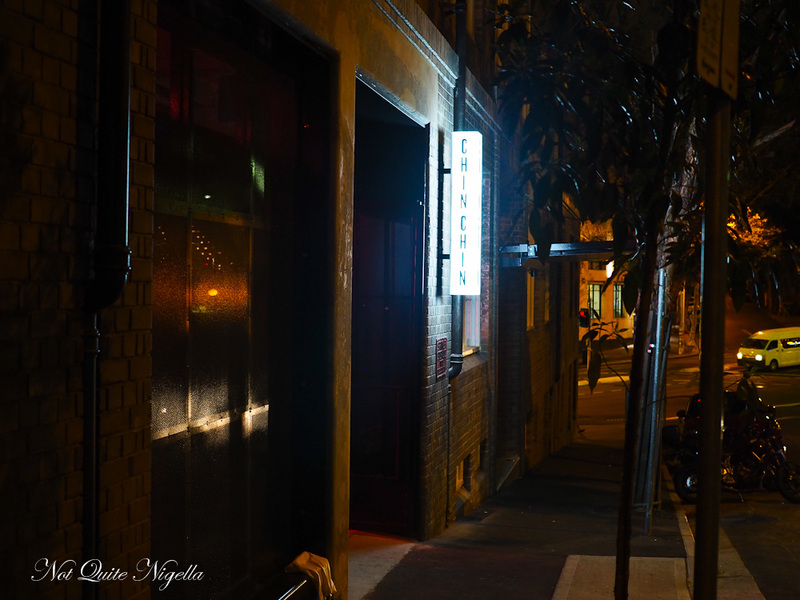 restaurantSearching High and Low For The Best Pizza In Sydney! 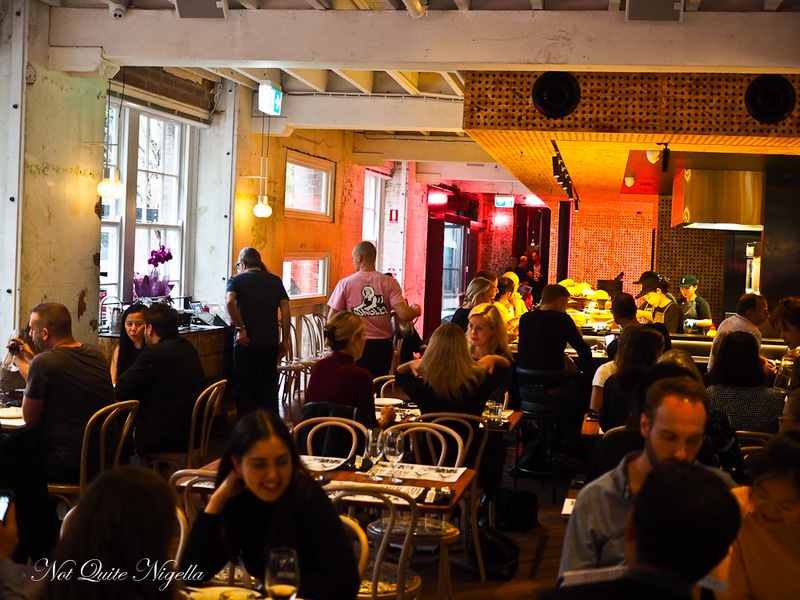 restaurant Searching High and Low For The Best Pizza In Sydney!